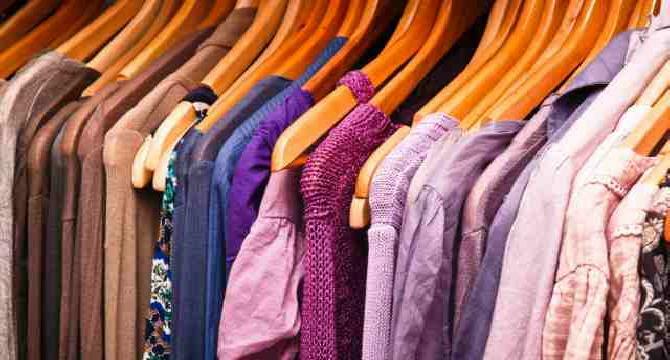 Clothing labels, while small and discreet, play a large role in the clothing brand. Often, commercials and brochures do not reach the buyers. But if they see a garment they like to showcase or a discount rack, they will look at the label to reveal the name of the manufacturer or designer. If the label does not display the name correctly, this would mean a lost customer or two to the seller. In addition, the labels should give the care instructions and washing, information on the composition, and a plethora of other information. Since squeezing all this information on a single label may not be possible all the time, designers can choose from a range of different types of labels. Most people are familiar with the embroidered labels they see regularly on their clothing and accessories. Woven labels are different in that the text and logo are integrated into the weaving process so that the label is manufactured. This provides greater flexibility in terms of type of text or graphics that can be put on the label. In addition, the graphics are clear. Sometimes a dark font on a light background creates a blur effect, which can be minimized by the use of an additional light colored yarn during weaving. Consequently, there are many ways to customize the labels woven garments. Pure polyester labels are known for their durability and ability to withstand temperatures up to 70 degrees in the wash. They welded edges to prevent fraying. Since polyester is a flexible material, the wearer feels no discomfort, even with the solder on the edges. Some name tags are made of a combination of satin and polyester, to give them an extra shine. These name tags are texts and graphics printed. Printed labels are of two types: standard and digital. Standard printed labels generally carry the manufacturer or designer name, logo, and the care and washing instructions. They offer a choice of three font colors (red, blue, black) on a white background. You can choose from a variety of font styles and symbols. Standard labels also include composition instructions. Digitally printed labels carry logos and custom graphics. It is important to invest in the only high-quality clothing labels to make sure your clothes are appropriately labeled. This will also strengthen your brand.